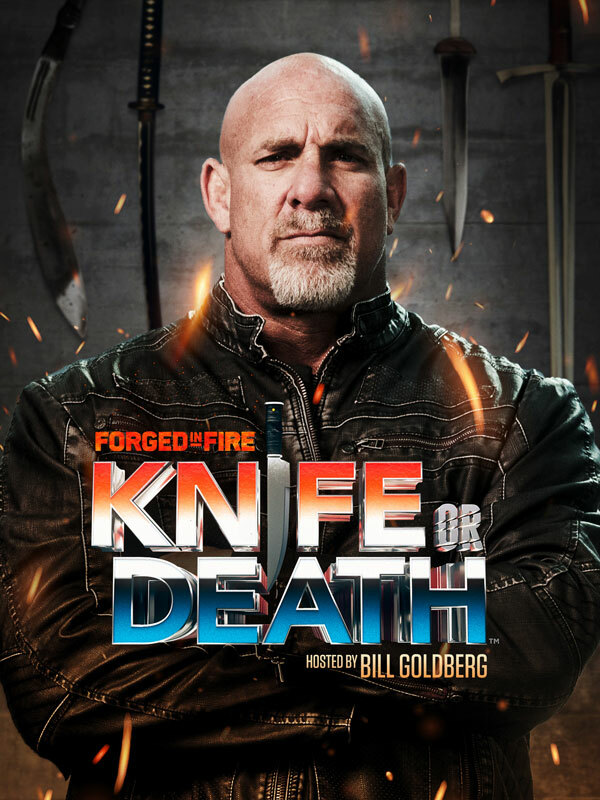 As a big fan of HISTORY’s Forged in Fire show, I was extremely excited to see the first season of their offshoot series Forged in Fire: Knife or Death air in the Spring of 2018. Upon watching the first episode of the new series, I was both excited and anxious. By the second episode, I turned to my wife and said, "I’m better than these guys! I should be on this show." Well, it was as if someone was listening to me. The very next day, a casting agent from HISTORY emailed to ask me if I’d like to appear on Season 2 of Knife or Death! This was a dream come true. If you have never seen the show, you should! It’s a blast! 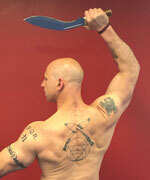 Bladesmiths, ex-military, woodsman, and martial artists are put through a series of challenges with their blades. The two competitors with the fastest times compete to be the episode champion and qualify for the finals—and a shot at winning $20,000! I was pumped for this opportunity! 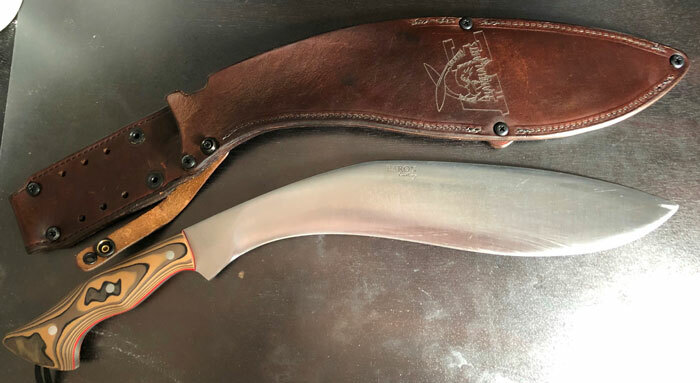 After watching the competition during the first season, I knew that my standard Kukri would not be heavy enough, long enough, or sharp enough to win. Even though I’ve used a Kukri for over 30 years, I had never competed in any chopping or cutting, or "blade sport" competitions. Additionally, I do not possess the skills or the equipment to forge my own blade. Needless to say, I had some work ahead of me. I watched the competitors and tallied the amount of cuts and chops that they took per round. Successful competitors seemed to need between 37 and 48 strokes of the blade to complete the course. 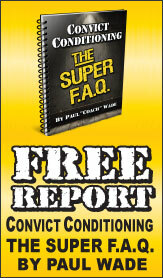 I made sure that my single hand kettlebell swings, snatches, and punch swings were up to par for the task. I also worked on grip strength double kettlebell one hand swings and forearm twists. To enhance my downward chopping technique, I paid particular attention to the concentric movement of the kettlebell. I also practiced a great deal of blade work, wood chopping, and striking split logs and a truck tire with a modified sledgehammer handle. I wanted to be certain that my energy level and accuracy would not wane during the contest. My kettlebell routine helped me to ensure that! The next order of business was to find a bladesmith. Luckily, one of my student’s best friend’s fathers—Aldo Bruno from Baron Cutlery—is one of the best bladesmiths around. What an incredible talent! We met, hit it off and immediately got to work on creating the perfect knife. He decided on to use 80CrV2 steel to forge a two pound, three ounce monster with a .270 inch spine, a 15" blade and a 6" custom handle. We named this beast the King Kukri. A few months later I was off to Atlanta to film Season 2 of Forged in Fire: Knife or Death! Along with six other competitors, I got in a van which took us to a secluded warehouse in a remote section of the outskirts of Atlanta. 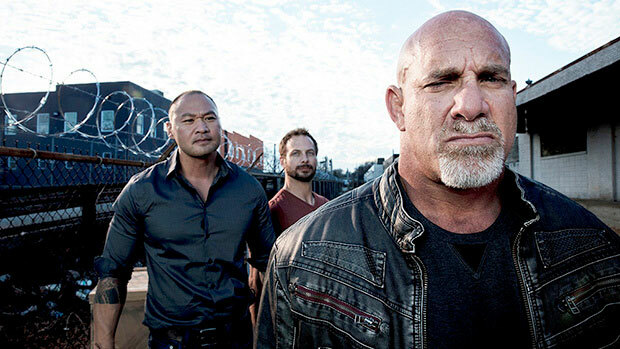 We met the Star Hosts Bill Goldberg and Tu Lam along with the Forged in Fire blade specialist, Travis Wuertz. Bill Goldberg, the former Atlanta Falcons player, aka "Goldberg" from the WWE, is the main host. Tu Lam, is a former US Army Green Beret and provides color commentary. Travis Wuertz, a two-time Forged in Fire champion, tests our blades and conducts the pre and post competition interviews. These guys are the most down-to-earth, cool and humble individuals you’ll ever want to meet. Anything that any of them do, I will support 100%. They went out of their way to hang out and talk with us. They worked very long and hard hours on the show, yet maintained their sense of humor and humility even during stressful moments. These guys haven’t forgotten where they came from—especially Bill Goldberg. He has been very famous for quite a while, yet you’d never be able to tell by the way he acts and speaks with "unknowns". The three hosts showed respect to all of the participants—this was apparent when filming the standard network promo footage. Those three guys truly are one of a kind! During the actual competition, and despite some minor setbacks, everything came together nicely. My experience was all that I thought it would be and more. Season 2 of Forged in Fire: Knife or Death airs on Wednesday, October 3rd at 10:00pm EDT on HISTORY. You’ll have to tune in to the new season to see what happens. I will have to say that this was one of the greatest experiences of my life! 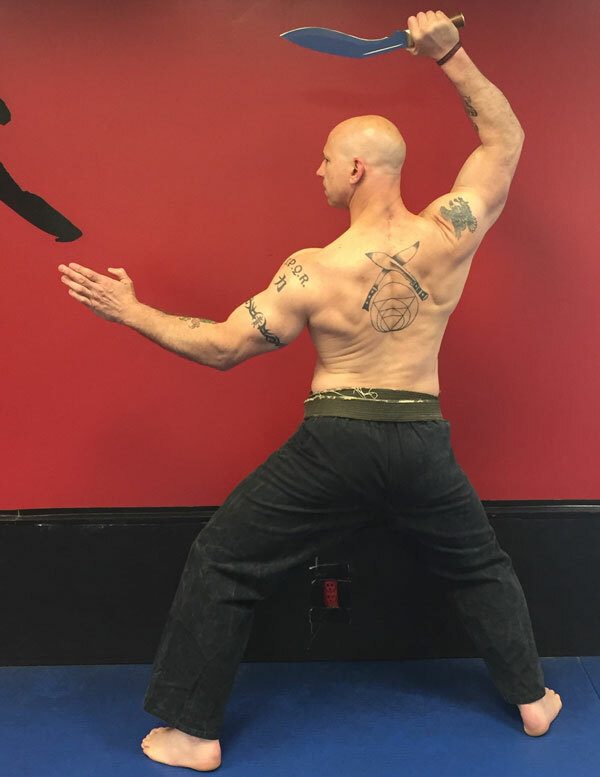 Phil Ross, Master RKC created The Kettlebell Workout Library and co-authored Ferocious Fitness: A Fighter’s Proven Action Plan to Develop Blazing Power, Animalistic Strength and Killer Conditioning with Marty Gallagher. He has dedicated his life to training and developing programs to help athletes, fitness enthusiasts, personal trainers, coaches, law enforcement, military personnel, executives, surgeons and special needs clients to reach their goals, improve their performance and their lives.